Over the weekend I read, and greatly enjoyed, the recent translation of Elena Chizhova’s The Time of Women which won the Russian Booker Prize in 2009. Set in the early 1960s, the short novel tells the story of a “family” struggling to get by. This is not a regular family, but one brought into being by the vagaries of the Soviet housing system: when Antonina and her daughter are given a room in an apartment, the other inhabitants – three elderly women – become full-time grandmothers to the little girl, who understands everything, but does not yet speak; Antonina goes to work in the factory to provide for them all. The historiography of the post-war era has tended to focus on youth, not least because the Soviet regime was both so enamored and so fearful of its youngest generation. But, as Chizhova’s book suggests, the elderly – particularly women – played a key role in child-raising. The state provision of child-care remained limited and sometimes unsatisfactory: Melanie Ilič has shown that although the number of places in crèches, kindergartens and nurseries increased under Khrushchev, mothers were not always happy with the standard of care in state-run organizations “where the sheer number of children in attendance meant that illness and infection, and sometimes injuries, were frequent, and the food provided was not considered to be wholesome.”1 Parents commonly used informal child-care arrangements, relying on support from family or neighbors, as is the case in The Time of Women. Glikeria becomes alarmed (How will the washing machine fit in? ), particularly when Antonina suggests that money is going to disappear in the communist future (a possibility which almost leads the three babushki to a bout of panic-buying). But the conversation ends more calmly. Antonina thinks that this future communist paradise will be full of kind and cheerful people, like the ones shown on television. Television plays a crucial role in the novel. Although an expense – and a frightening novelty for the babushki – Antonina scrimps and saves to buy one, believing it will be an indispensable source of learning for Suzanna. One evening’s viewing in particular prompts the grandmothers to think about their own losses, and about the afterlife. Presented with a newsreel of the May-day parade in 1941 the women are both bemused, and hopeful: might they see their own dead children or grandchildren? One of the reasons these passages struck me so forcefully was because they closely echo some interviews that I’m reading for an article I’m trying to finish. 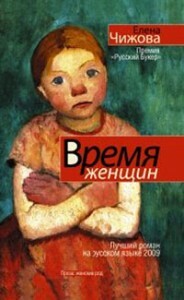 The interviews date from a very similar period (they were conducted in Ivanovo region in 1964-5) and they allow us a glimpse into how this generation of women – those born before the revolution and who experienced the all the upheavals of 1914-1945 – articulated their vision of the heaven, hell, and afterlife. In the materials held in the archival fond for the Institute of Scientific Atheism, we find, for example, the views of Ekaterina Andreevna, an Orthodox pensioner.5 Raised in a religious, rural, family by the sixties she was attending church only on holidays, but she kept three icons at home, observed fasts, knew three prayers by heart, and constantly turned to God for support in the course of her daily life. The report described her beliefs regarding the afterlife as follows: “Believes in the immortality of the human spirit. Thinks that when she dies, her spirit will, after forty days of tribulation, be sent by God to either hell or heaven, as he thinks fit […] As she imagines it, a person who has committed sins on earth, even significant ones, if he is clever, God might send his spirit to heaven as such people are necessary “for the building of paradise” [“dlia stroitel’stva raia”].” Here, as in the exchange between Antonina and Glikeria, we find some kind of elision between ideas of a Christian afterlife and a paradise which, like communism, is still under construction. Another interiewee, sixty-five, illiterate, and living in a cellar, was reported to believe that “that most people have little chance of getting into heaven; basically only those who perished during the Patriotic War will go to heaven, and those who committed suicide stand no chance.”6 Like Glikeria, she formulates a rather idiosyncratic view of how souls were judged – one in which wartime service was everything. In the longer piece I am writing on this topic, I explore how the women’s vision of the afterlife was shaped by their own experiences and by the language and innovations of Soviet life, as is also the case with the babushki in The Time of Women. There are, however, differences between the interviewees and Chizhova’s Glikeria, Ariadne and Evdokia. Certainly as far as they present themselves to their interviewers, the women of Ivanovo region are not as explicitly anti-Soviet as the grandmothers in The Time of Women. And, at least in some cases, their domestic arrangements are not so cozy. The 65-year-old referenced above was, apparently, of “the opinion that those who suffer on earth will find comfort in the afterlife, and the reverse. For herself, she would like to find deliverance from the woman who shares her room [sosedka po komnate] – Liusia.”7 In Chizhova’s depiction, in contrast, the outside world is cruel or indifferent at best, but at home her heroines are warm, honest, and deeply care about one another. And it is probably this – as well as the poignant evocation of 1960s Soviet life – which makes it such a good read.